Rangiroa is often referred to as the world’s largest natural aquarium and we absolutely agree that this atoll is a MUST do for divers! Rangiroa is located in the northern Tuamotu group of Tahitian islands and is the largest atoll in French Polynesia. Rangiroa is a 1 hour Air Tahiti flight north of Tahiti island and is made up of a string of coral islets encircling an immense lagoon. Our Tahiti holiday itineraries to Rangiroa are created mainly for our lovers of diving or snorkelling as most of the activities on offer are centred around the amazing dive sites and stunning lagoon islets. Divers can experience the exceptional array of grey sharks, white tip reef sharks and black tip reef sharks that are concentrated in the warm waters. A drift dive or snorkel in the Tiputa pass will give you the chance to get up close with pods of dolphins as well as manta & leopard rays, turtles and a myriad of colourful fish! 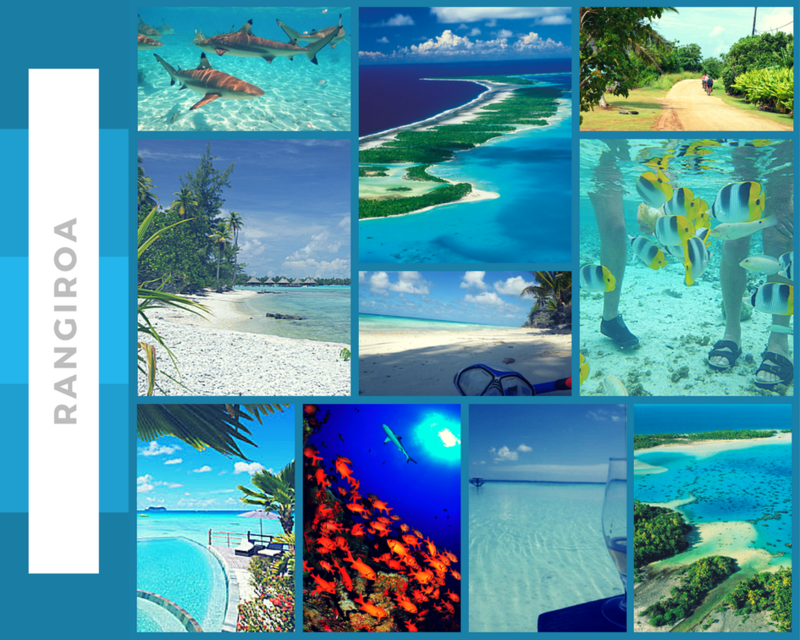 Our diving holidays to Rangiroa give you a ticket to one of the richest coral reefs in the world.